2018 was a fantastic year for Coor, and I am proud and grateful for the strong confidence that our customers and investors show in us. I would also like to say a big thank you to our employees all around the Nordic region who come to work day after day and show what Coor really means by Passion for Service. 2018 was in many ways an important year for Coor. It was the year in our history when we grew the most, both organically and through acquisitions. We acquired three companies: cleaning firm Elite Miljø in Denmark, property services provider OBOS Eiendomsdrift in Norway and Norwegian service company West Facility Management. has made Coor Denmark’s second largest provider of cleaning services. While expanding rapidly, we have not lost our focus on our existing customers. In 2018, we renegotiated contracts worth around SEK 2.6 billion. In the past three years, we have had an overall retention rate of 90 per cent. This testifies to the long-term nature of our customer relationships that has became a hallmark for Coor. For the fifth year running, customer satisfaction in the group as a whole has increased, according to our annual customer satisfaction survey. Extended IFM contracts include those with Det Norske Veritas Eiendom, Equinor (formerly Statoil), Ericsson and the Swedish Transport Administration. In 2018, Coor signed several new contracts with customers including Attendo, MAN Diesel, Swedavia and H&M. We also concluded a new five-year IFM contract with finance and insurance group Storebrand in Norway, a contract whose size strengthens our position as the market-leading provider of IFM services in the Nordic countries. I am very positive about the future. Coor’s Nordic home market offers good opportunities for expansion, partly because a large share of the market is not outsourced and partly because more companies are looking to move to an IFM set-up. Coor also has a stated goal of expanding its single FM business, mainly in property services, cleaning and food & beverages. This will enable us to guarantee a stable inflow of new business that balances the more volatile inflow of large IFM contracts. Over the past few years, the customer experience has been at the heart of our service delivery – it is our ability to understand the customers that enables us to customize our services to their unique requirements. Continuous innovation and development are a part of our company’s DNA. This applies to group-wide projects, such as the development of our digital services, as well as the individual contracts, where our employees continually come up with new ideas for improvements. To really succeed in creating the best possible customer experience, it is essential that our genuine passion for service inspires everything we do. So what do I mean by passion for service? For me, it means that those of us who work at Coor need to switch on our hearts as well as our brains when we go to work. Our employees like to spread a positive vibe around them, but equally important is to get to grips with and solve the problems that arise every day. That way, we become a partner that really adds value for our customers and improve the working lives of their employees. Sustainability is one of Coor’s most important focus areas. For us, the concept has business, social as well as environmental dimensions. Sustainability affects our activities throughout the group. It is important for us on a business level and gives us big competitive advantages. We are seeing a growing demand from our customers and their employees for sustainable service solutions, such as reduced use of energy and chemicals. In the long run, active sustainability work is crucial to the continued existence of our business. At Coor, we have chosen to put our sustainability goals in a global context by linking them to those eight of the UN’s 17 sustainability goals where Coor is in a position to really make a difference. For these eight areas, we have defined clear and quantifiable targets. One of the targets is to halve Coor’s total carbon footprint by 2025. Coor delivered its best annual results ever in 2018. One reason for this is our strong offering and good customer relations, another is that we successfully acquired and integrated three companies in Denmark and Norway. Coor ended 2018 with 10 per cent organic growth, 10 per cent growth from acquisitions and a 5 per cent improvement in our operating profit. Despite these achievements, we are not dropping our guard. Through a clear focus on customer experience, development and innovation, and sustainability, we will continue to create the market’s strongest offering. The Nordic facility management market has continued to grow at a stable rate, driven by increased outsourcing of FM solutions. Coor has maintained its position as the leading provider of IFM services while also growing its single FM services business. Coor’s offering has stood up to the competition and the company’s market share in the SME segment has continued to increase. The number of major IFM procurements varies from year to year, but over time the share of contracts won by Coor has remained stable. The value of all FM services for all businesses and organizations in the Nordic region. This includes the value of services that are currently handled by the companies themselves. The total value of the share of the market that is outsourced. The value of integrated service deliveries in outsourced IFM. Passion for Service characterizes everything we do at Coor; it has made us a leader supplier of Facility Management in the Nordic region. In 2018, Coor Sweden extended contracts with customers in the major IFM contract segment as well as in single services. An active partnership with the customer paves the way for a high retention rate. During the year, Coor Sweden renewed its contracts with several major customers, including Ericsson, E.ON, the Swedish Transport Administration, AB Volvo and Volvo Cars. Coor’s service delivery to the Karolinska University Hospital in Solna, Sweden was ramped up in 2018. The Karolinska University Hospital provides world-class medical care and has stringent requirements in terms of service delivery. Development of the service to Ericsson also means an increased focus on technological innovations. The success of Coor’s business is built on its employees, and there is a major initiative underway throughout the company to ensure that everyone feels a passion for what Coor does – Passion for Service. By actively engaging all employees, we build a better platform for our service delivery. In 2018, Coor’s employees took part in special events aimed at building a sense of togetherness. "Passion for Service is about that extra something that we do for our customers every day." Coor Norway had an eventful year marked by acquisitions and extended contracts. Coor’s business in Norway was expanded through the acquisitions of OBOS Eiendomsdrift AS and West Facility Management AS. Coor Norway grew 23 per cent organically and through acquisitions. Coor has signed a new five-year IFM contract with Storebrand. Under the contract, Coor will deliver services such as security guards, service centre and reception, cleaning and operations and maintenance at Storebrand’s properties. Coor’s contract with Equinor (formerly Statoil), one of the largest IFM contracts in the Nordic region, was extended by two years. Coor also renewed its contract with Det Norske Veritas Eiendom, under which Coor is developing and providing operations and maintenance services in properties with a total floor space of 100,000 square meters. In 2018, Coor acquired Elite Miljø A/S, one of Denmark’s leading cleaning service providers. Organic and acquired growth has increased the size of Coor Denmark by 96 per cent. Elite’s skills and experience in cleaning services generally coupled with its specialist expertise in the hospital and cleanroom segments will help to strengthen Coor’s existing resources. The acquisition of Elite has increased Coor Denmark’s market share substantially.The Danish organization has also grown organically through new contracts, including a contract with the Municipality of Copenhagen, which is a major new customer in IFM. Other new customers in 2018 included Aarhus University Hospital, Man Diesel & Turbo and Novo Nordisk. Digitalization is a key factor in our business development process. A good example is our contract with Copenhagen Municipality, under which we have an explicit commitment to implement efficiencies. We have succeeded in doing so through a number of digital solutions. Some of the communication between Coor and Copenhagen Municipality, for example, is handled robotically. 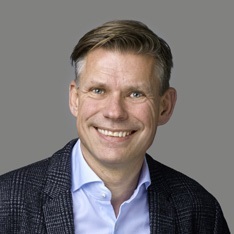 On 1 October 2018, Marcus Karsten took over as President of Coor Finland. 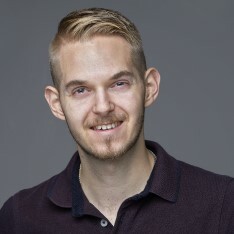 Before joining Coor, Marcus Karsten was President of Bravida Finland. Coor’s Finnish business has continued to evolve in a positive direction, attracting new customers and growing especially in the cleaning segment. Coor’s Finnish organization grew steadily in 2018 through its customers, including ABB, with which Coor has a pan-Nordic IFM contract covering ABB’s extensive operations in Finland, and Attendo, for which new property and outdoor maintenance sites were added. Other notable new contracts signed in 2018 were those with Ikea, and the University of Eastern Finland. During the past year, Coor’s Finnish business invested in internal development through executive and employee training activities. Coor Finland has several ongoing initiatives and programs, some of which focus on health and safety. Coor offers around a hundred different services in different service areas, ranging from individual cleaning services to complex IFM deliveries. Whatever the type of service, the goal is always to make life easier for the customer, but when Coor takes charge of the full spectrum of services in and around a customer’s building, maximum synergies between services can be achieved. Coor can then introduce cross-functional technological solutions and continually develop improvements for the customer. Coor’s goal is to create a workplace where our customers, their employees and guests are happy. This means giving them a warm welcome at reception, good-quality coffee, fruit baskets that are continually replenished, a smooth and efficient mail and freight handling service, functioning photocopiers as well as ensuring that office supplies are always available and that light bulbs are replaced. These are small but crucial details for ensuring a well functioning workplace. Here Coor can easily apply its smart solutions for increased customer satisfaction, for example in the form of sensors which measure the indoor climate and detect whether conference rooms are being used. Meetings are an important part of working life. Our conference business includes Coor’s own conference facilities as well as conference services that are provided on site at the customer premises. We ensure that our customers have a good experience throughout their meeting and are happy to assist with special requests. The outdoor environment is what our customers and their employees encounter first on arriving at work in the morning. Coor ensures that bushes, lawns and flower beds always look well kept. In the winter, car parks and roads are ploughed and maintained – all to create an appealing and safe outdoor environment. Coor has long experience of providing security solutions for businesses with high security requirements. Security guards, security technology, access control and fire safety are a few examples of Coor security services. Coor’s strength lies in its ability to combine the professionalism of a large cleaning services company with the commitment of a local player. Coor has the resources, methods and expertise that are required to provide a wide variety of cleaning services, from office cleaning to more advanced services such as cleaning of hospital environments and cleanrooms. Coor is an expert at property services – some 15 million square meters of floor space across the Nordic region are maintained by Coor. Coor is a professional partner which always ensures that it finds a good mix of corrective and planned maintenance over time, with the aim of optimizing the cost for the property over its lifecycle. Coor runs a large number of restaurants in Sweden, Norway and Denmark. The key to success in this business is to adapt to local conditions, as no country or region is like another. That’s why the menus for Coor’s restaurants are based on local produce and adapted to local preferences. All restaurants have a focus on sustainability and reduced food waste. Coor strives to operate in a responsible and sustainable long-term manner. Customers, employees, owners and other stakeholders must be able to feel confident that Coor will run its business in a professional, profitable, secure and sustainable manner over time. Our ambition is to create value in three dimensions: business, social and environmental. This means that the activities in which we are engaged today must not compromise our ability to run a profitable business in the future. Coor has previously defined clear targets for the business dimension, mainly financial targets. Coor has now chosen to take the next step towards becoming an even more sustainable business by also defining concrete and measurable targets in the social and environmental dimensions. The targets have been formulated on the basis of the company’s triple bottom line and the UN’s global goals. They were recently adopted by Coor’s Board of Directors. The target is to maintain a high level of customer satisfaction (Customer Satisfaction Index) over time ≥ 70. The target is to reduce the company’s TRIF (Total Recorded Injury Frequency) to ≤3.5. The target is to maintain a high level of employee motivation over time (Employee Motivation Index) ≥ 70. The target is 50/50 gender balance in management teams. Coor is working to reduce emissions of greenhouse gases with the goal of halving the company’s footprint. Director since 2016. Chairman of the Board since 2017. Member of the Project Committee and Remuneration Committee. EDUCATION: M.Sc. in Engineering, KTH Royal Institute of Technology of Stockholm. 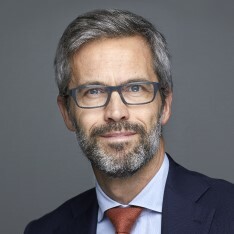 WORK EXPERIENCE: President and CEO of Tele2 Group, Managing Director of Ericsson India, UK, Northern Europe & Central Asia and North Africa, Head of Supply & Logistics in the Ericsson Group. Konsult Arrigo and Andersen Consulting. 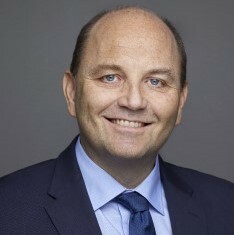 Director General GSMA. 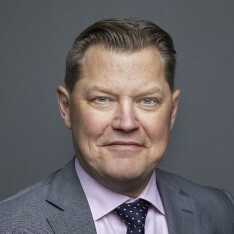 Director of Swedbank. Director since 2017. Member of the Project Committee. EDUCATION: M.Sc. in Economics and Business, Stockholm School of Economics. 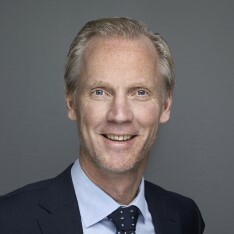 WORK EXPERIENCE: 23 years at SAS, of which the final five years as CEO of SAS Sweden, President and CEO of Scandic Hotels AB, President and CEO of Braathens Aviation AB. Chairman of Unlimited Travel Group UTG AB, A-Katsastus Group OY and Helsa Vårdutveckling Sverige AB, Director of Parks&Resorts Scandinavia AB, West Atlantic AB and Dreamtroopers AB. Director since 2000. Member of the Project Committee. WORK EXPERIENCE: President and CEO of Coor Service Management. Various positions at Skanska, including President and CEO of Skanska Services. Chairman of Logent Holding AB and Lekolar AB. Director of NCC AB and Assemblin Holding AB. Director since 2015. Member of the Remuneration Committee. EDUCATION: M.Sc. and Ph.D. in Business Administration, Stockholm School of Economics. 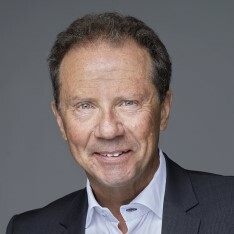 CEO and founder of Hemfrid i Sverige AB and co-founder of Tidnings AB Metro. CEO of local newspaper Folket in Eskilstuna, Bonniers Fackpressförlag, Eductus AB and Previa AB. Director since 2015. Chairman of the Audit Committee and member of the Remuneration Committee. WORK EXPERIENCE: Founder, consulting firm Calea AB. 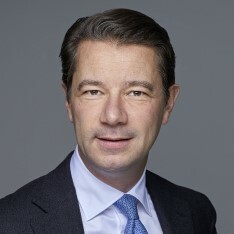 CFO of Apoteket AB, Carnegie Group and OMX AB. Group Treasurer, OMX AB. Vice President, Corporate Finance and Group Treasurer Investor AB. AB, ÅF AB, Orexo AB, and Ellos Group Holding AB. Director since 2016. Member of the Audit Committee. EDUCATION: MBA, University of Washington, USA. 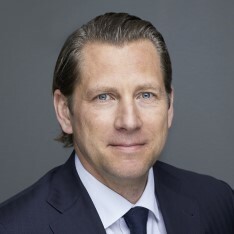 WORK EXPERIENCE: President of Lindorff AS and EVP Lindorff Group AB, CEO of IKANO Bank Norway, Bank Executive DNB ASA. 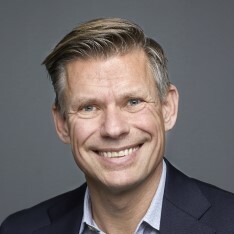 OTHER CURRENT DIRECTORSHIPS: Chief Operating Officer Storebrand ASA. 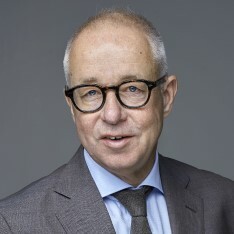 Chairman of Storebrand Bank ASA, Storebrand Forsikring AS and Storebrand Helseforsikring AS. Director, President and CEO since 2013. WORK EXPERIENCE: President and CEO, Green Cargo AB and Axindustries AB. 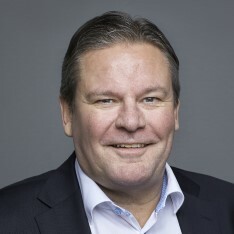 Vice President, Axel Johnson International AB. Trade Commissioner, Swedish Trade Council in Russia. Consultant, McKinsey & Company. 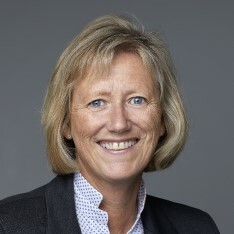 Associate, Mannheimer Swartling Advokatbyrå. Director of SJ AB and Ambea AB. SHARE OWNERSHIP: 78,947 shares and 90,000 call options. EDUCATION: Bachelor of Social Services, Stockholm University. WORK EXPERIENCE: HR Director, ASG and Ohlsson&Skarne. Head of Management Planning Development, Skanska AB. SHARE OWNERSHIP: 38,598 shares and 27,500 call options. 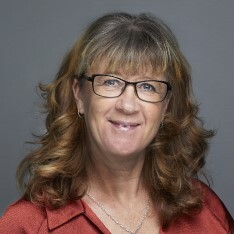 Vice President, Coor Sweden since 2016. EDUCATION: M.Sc. in International Business and Trade, Gothenburg School of Business, Economics and Law. 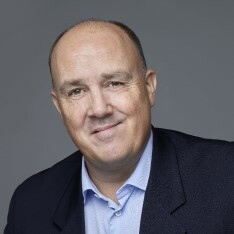 Several roles at Coor, including President of Coor Norway and Head of Business Unit at Coor Sweden, Management Consultant, Accenture. Controller, Saab Automobile. SHARE OWNERSHIP: 20,268 shares and 27,500 call options. 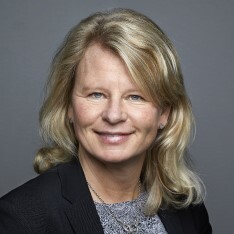 President of Coor Sweden since 2016. EDUCATION: M.Sc. in Business and Economics, Stockholm University/University of Gävle/Sandviken. WORK EXPERIENCE: Several roles at Coor, including President of Coor Norway, Veolia (formerly Dalkia) and the Swedish Association of Local Authorities and Regions (SKL). 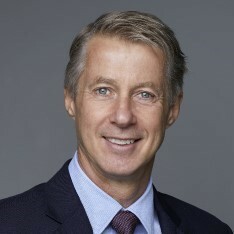 OTHER CURRENT DIRECTORSHIPS: Director of CRAMO. SHARE OWNERSHIP: 34,704 shares and 27,500 call options. 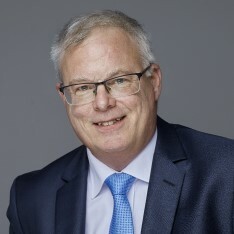 President of Coor Finland since 1 October 2018. EDUCATION: M.Sc. in Business Administration and Economics, Åbo Akademi University. WORK EXPERIENCE: CEO Bravida Finland, CEO Lemminkäinen Talotekniikka, CEO Tekmanni Service, Head of Business Unit Siemens. OTHER CURRENT DIRECTORSHIPS: Director of Oy Hedengren Ab and the Finnish Handball Association. SHARE OWNERSHIP: 2,750 shares and 27,500 call options. Senior Vice President, Business Development & Sales since 2009. EDUCATION: M.Sc. in Business Administration and Economics, Lund University. Finance, École supérieure de commerce de Paris. Cadet, Land Warfare Centre, Skövde. WORK EXPERIENCE: Management Consultant, McKinsey & Company. Fixed Income Department, Unibank Markets (Nordea). 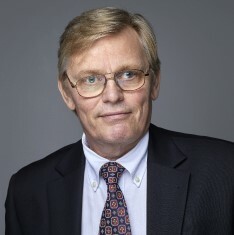 Consultant/External Advisor, Fruktbudet. Chief Legal Counsel since 2006. EDUCATION: LL.M., Lund University. IFL Executive Education, Stockholm School of Economics. WORK EXPERIENCE: Solicitor, Linklaters Advokatbyrå. Judicial Clerk, Handen District Court. SHARE OWNERSHIP: 2,999 shares and 27,500 call options. CFO since 2009, Investor Relations Director since 2016. EDUCATION: M.Sc. in Financial Economics and International Business, Stockholm School of Economics. WORK EXPERIENCE: CFO, The Absolut Company, V&S Group. Several CFO roles and Management Consultant, McKinsey & Company. SHARE OWNERSHIP: 82,929 shares and 27,500 call options. 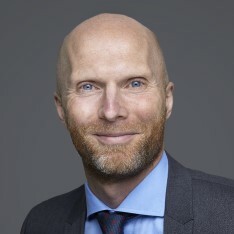 President of Coor Norway since 2016. EDUCATION: M.Sc. in Economics and Business with a major in Finance, Norwegian School of Management (BI) and Copenhagen Business School. WORK EXPERIENCE: PwC (transaction-related work), Statoil Norge AS (Chief Controlling and Strategy Projects, Deputy CFO). shares and 27,500 call options. 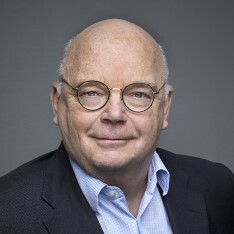 President of Coor Denmark since 2001. EDUCATION: M.Sc. in Business Administration, Copenhagen Business School. Executive Program, International Institute for Management Development, Lausanne. CEO, Strax Nordic, Logistics Manager and Service Director, Xerox Danmark. Various executive roles, Rockwool. 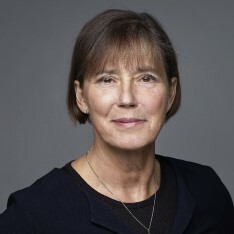 OTHER CURRENT DIRECTORSHIPS: Chairman of the Danish Service Sector Employers’ Association (SBA) and Director of the Confederation of Danish Industry (DI). Director of Nordomatic AB and Dominus A/S. Senior Vice President, Operations Development since 2013. EDUCATION: M.Sc. in Economics and Business, Lund University. Advanced Management Program, Stockholm School of Economics. International Executive Program, IESE Business School, Navarra, Barcelona. WORK EXPERIENCE: CEO, Sun Microsystems Sweden. President and CEO, Addici. Executive Vice President, EDB Business Partner. SHARE OWNERSHIP: 22,746 shares and 27,500 call options. EDUCATION: B.Sc. in Information Science, Uppsala University, and the Poppius School of Journalism. WORK EXPERIENCE: Director of Communications, Ving, Head of Department, Account Manager and other roles at Prime PR, Project Manager, Rikta kommunikation, Public Relations Manager, TV3. 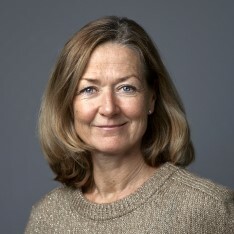 OTHER CURRENT DIRECTORSHIPS: Director of New Hope Reseindustrins Barnfond. shares and 10,000 call options. The information in this digital version is a short excerpt from Coor’s annual report for 2018. If you want to read the full report, please download the PDF here or go to www.coor.com/investors/Reports-and-presentations. This English version is a translation of the Swedish original version. In the event of a conflict between the English and the Swedish version, the Swedish version shall prevail.